If you’re looking for the house that nobody else has then you’re going to want to look at Northwest Bakersfield Custom Homes for sale. Although Bakersfield offers many areas with beautifully built custom homes, areas such as Southwest Bakersfield and Northwest Bakersfield include most of them. With communities like Seven Oaks, Grand Islands, The Oaks, Brighton Estates, Talladega, Harvest Ranch and Harvest Estates to just name a few you’ve got plenty of communities to choose from. 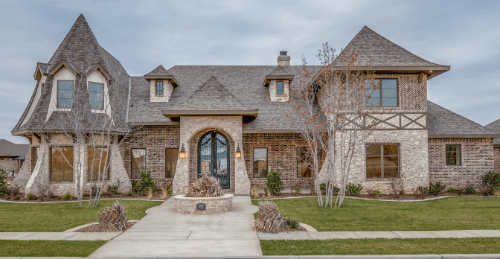 Like all the communities above that offers custom-built homes, a buyer looking for the perfect home also has the option to choose from many quality northwest Bakersfield custom homes for sale builders. Local contractors like John Balfanz, GJ Gardner, Froehlich Homes, Brian Rice Construction, Sweaney Homes and Dave Packer only scratch the surface of the custom home builders in the area. Another builder that builds many custom homes in Northwest Bakersfield is California Home Builders. Many buyers looking for an affordable community choose Bakersfield, CA. Homes in Bakersfield range in price from starter homes in the low $100’s to large grand estates over $3m. Of course prices fluctuate based on market and location but an average custom home in Northwest Bakersfield with approximately 2500 sq ft will be priced in the mid $600’s. Southwest Bakersfield includes one of the nicest communities in all of Bakersfield called Grand Island and is actually a gated community within a gated community. Homes in this exclusive neighborhood range in price from $800k to over $3m. One large benefit of Custom Built homes for sale in Northwest Bakersfield is the lot size the northwest offers. The majority of lot sizes in Northwest Bakersfield range in size but the average size for a lot with a custom-built home is usually at least 1/2 acre or more. So if you’re looking for a larger lot with a custom-built home then Northwest Bakersfield might just be the place for you. If you need additional information about Northwest Bakersfield Custom Homes for Sale or would like information on another area, please contact us or leave a comment below. We’d appreciate the opportunity to assist you in your home purchase!